The grounds at Fitchburg Sportsmen's Club are beautiful all year. Fall captures some beautiful color. 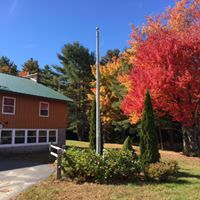 Our Clubhouse is located on Route 119 (Rindge State Road) in Ashburnham just East of the NH Border and beyond the parking area for Mount Watatic. 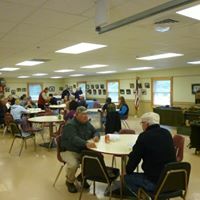 Our Member Hall on the upper floor of the clubhouse has a capacity of approximately 80 and is used for Member and Board meetings as well as other events. It is handicap accessable. Our Member Lounge is located on the first floor of the clubhouse. 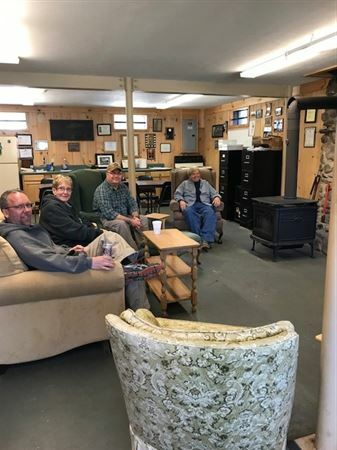 With a woodstove and several comfortable chairs it is a cozy spot to relax and socialize during events of after hunting. Our fully equipped kitchen is used for all club functions. 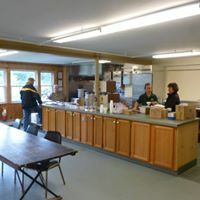 Breakfast, lunches and dinners are prepared here by our volunteers for our club events. The kitchen is also open Wednesday evenings during trap season for a light dinner. 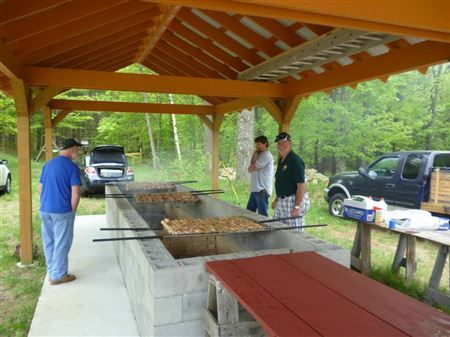 Behind the clubhouse is our BBQ pit used for functions including our Annual Chicken BBQ which follows the Kid's Fishing Derby in May of each year. Our annual Pig Roast and Open House is held in the fall. Just some great advantages of having this BBQ Pit available on the property. General Parking is available across the road, and limited parking including handicap access behind the clubhouse.